Welcome to The Gathering Place About Us page. This is an introduction to our Leadership Team. Byron and Nancy Barkules: Byron and Nancy Barkules are Executive Pastors of The Gathering Place Chicago. Byron and Nancy have committed their hearts to serving God and equipping others to fulfill God’s vision for their lives. They have a passion to see this generation walk in all that God has for them as “World Changers.” They believe God is reaching out and calling this generation with His love. They know that every person in God’s kingdom is significant and can be used by Him to make a difference. Byron is employed full-time as Vice President of Manufacturing in a family-owned metal stamping company that his father established over 60 years ago. Byron and Nancy reside in Libertyville and have been married for over thirty-five years. They have three amazing grown children, and five beautiful grandchildren. Todd Williams: One of the Executive Pastors at The Gathering Place. Todd has a Bachelor’s Degree in Classics and History from Southern Illinois University and a Master of Divinity from Trinity Evangelical Divinity School. 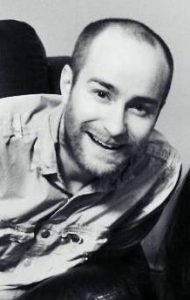 He is one of the charter members of TGP and has worked with the Barkules since 2006. It is his desire to make accessible the truths of God’s word in a way that is both engaging and life-giving. Todd oversees the Small Groups and holds free public Bible Classes in the area. 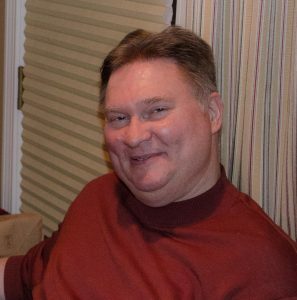 His wife Shannon is involved with social work and holds a Master of Arts in Counseling Psychology. Together they work with people to develop a deeper relationship with Christ and with others through pastoral counsel and discipleship. Cal Johnson: Cal serves by leading the I-61 Inner Healing ministry for the Gathering Place. The Loving Father is always here and always powerful to bring freedom and peace. God touches open people through our sessions with healing in their souls and bodies. Drawing from his own life challenges and graduate level theological training, Cal endeavors to open an energizing and safe space for God to work his liberation in people’s lives. Difficult situations become clear. The Way of the Kingdom beckons into adventure and Life! Cal lives in Libertyville and works in financial services in downtown Chicago. 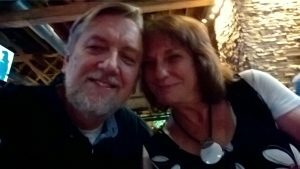 Jerry and Twila Majkowski: Twila and Jerry Majkowski serve on The Gathering Place leadership team and help lead the House of Prayer ministry at various intercessory worship and prayer meetings throughout the week. They also represent TGP in the Chicago Prayer Network to encourage corporate and personal prayer throughout the region. It is their belief that the Holy Spirit wants to ignite Chicagoland with continuous worship and prayer in response to the passion of Jesus for His bride. Twila is from Frisco, Colorado and Jerry is from Chicago and works as an independent software developer. 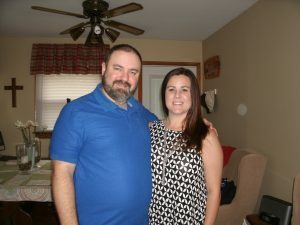 They met in Lafayette, Indiana, are the proud parents of four children with six beautiful grandchildren, and more on the way. 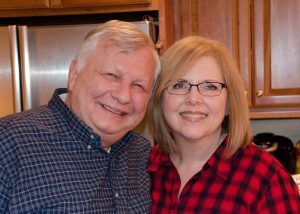 Jerry and Twila are the technical leads at TGP and also oversee the House of Prayer ministry. We believe that one way in which Jesus desires to restore intimacy with His Bride and bring the Church to love Him with all her heart, soul, strength and mind is through corporate prayer and worship. This is a time to hear His heart and respond to Him as one. The House of Prayer at TGP combines worship and intercessory prayer with a focus on prayer for the move of God throughout Lake County and the entire Chicagoland region. Regular prayer times are scheduled throughout the week and include live worship, spontaneous prophetic worship, structured intercessory prayer and spontaneous prayer. We often join with other houses of prayer throughout Chicagoland and the nation with scheduled visits and live web streams. Refer to the calendar and weekly announcements for prayer times and visits. Cara Miller: Cara Miller is on leadership team of The Gathering Place. She is our lead financial advisor. She also has a servant’s heart and serves in a variety of capacities including prayer, teaching, and offering encouragement to anyone. Cara has been involved with the ministry since October 2004 and desires that everyone feels loved by God the Father. She has a deep desire for missions. Cara came to know the Lord as her loving and redeeming Savior in 1988. She has a B.A. ; double major in Professional Accountancy and International Studies from MacMurray College. 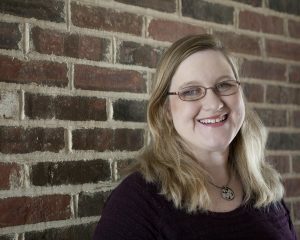 Upon graduating, she obtained her CPA and is currently employed as a Manager at The Dolins Group, Ltd.
Jonathan Seiver: Jonathan graduated from Trinity International University with a degree in Biblical Studies and from the ministry school of Global Awakening with a three-year ministry degree. He has a heart for the nations of the world and has ministered across Asia, the Middle East, Africa, and South and Central America. He was a youth pastor for six years and is the author of The Palace: A Prophetic Journey through the Cultures of this Age and The Kingdom of the Age to Come. Jonathan leads Prayer Ministry and Evangelism Outreach for The Gathering Place.